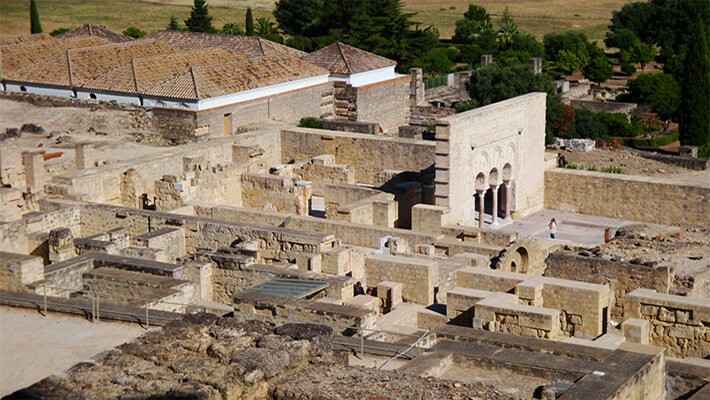 The Medina Azahara Day Trip is the perfect journey to understand why the Omeya Caliph of Córdoba Abderramán III, its founder, gave it the name “La Ciudad Resplandeciente” (The brilliant city). 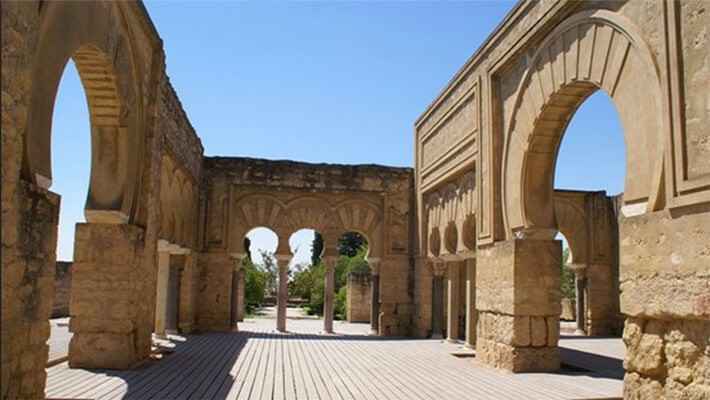 This archaeological site, ordered to be built in the year 936 as a royal residence and seat of the Al-Andalus government, is nowadays one of the largest and most representative places of medieval Europe. This palatial city is just 8 kilometres away from Cordoba, on the slopes of Sierra Morena. 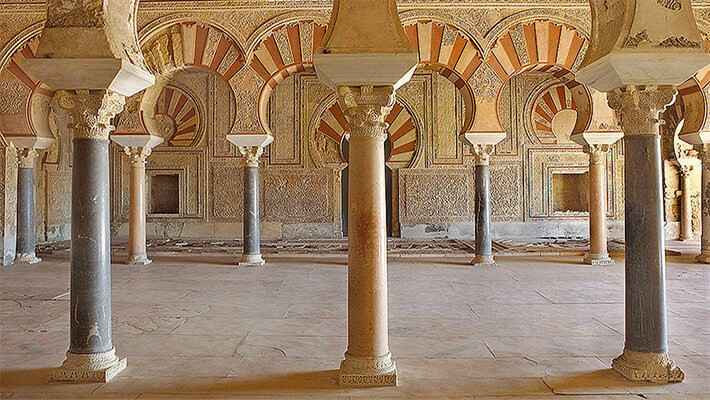 It was a destroyed and forgotten place for centuries, but at the end of the XIX Century, it was unearthed and idealised, since it is a really descriptive space of the Muslim art and it has never been modified. 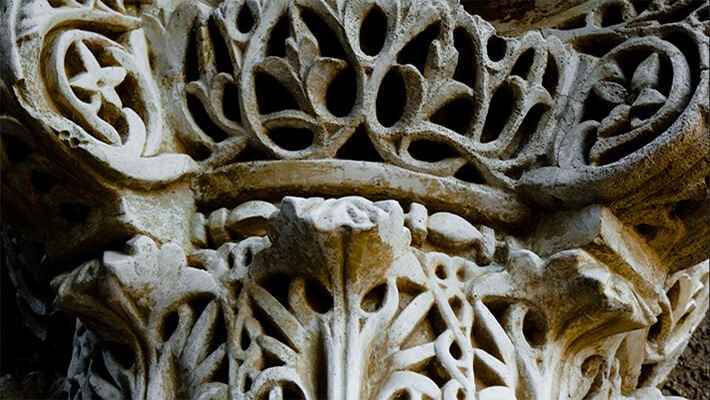 Within its walls, there was a great wealth, with mercury swimming pools, gold roofs, and geometrical and botanical decoration; thank to this, it became an idyllic place for philosophers, caliphs, militaries and princes of the time. 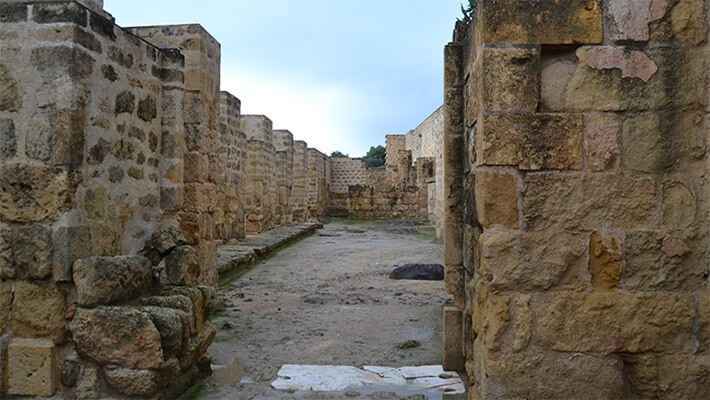 The Medina Azahara Day Trip will take us along the streets where the Arab ancient civil and military administration was located. We will go back in time to get lost in its halls, the guardians and servants rooms, mosques, towers and royal spaces, and learn about how the life was in that majestic place. 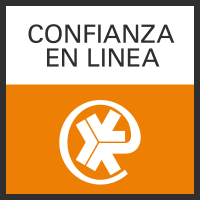 In addition, in the amazing company of our Spanish speaking guide, we will take a stroll through the Interpretation Centre of Medina Azahara, which received the “European Museum of the Year Award” in 2012. This is a rich and very representative architectural work, composed by exhibition and educational halls, auditorium, library and much more. The Medina Azahara Day Trip is not suitable for people with reduced mobility. Anyway, you can enjoy the extensive array of activities that we offer! Optional bus transport and shuttle bus from Cordoba. 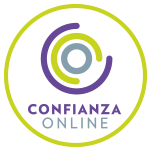 Have a look to our calendar to know price and availability.